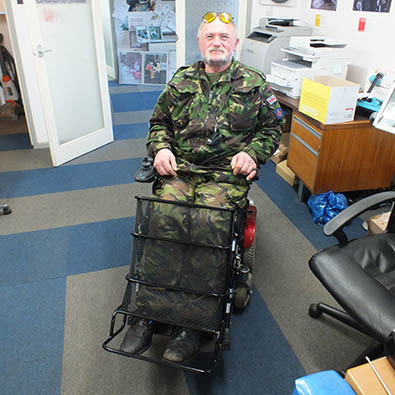 Arthur is a very active man with paraplegia. The high risk of injury to his legs meant that he was being held back from pursuing his outdoor sporting passions. He already had a rough idea for a guard which would fit to his wheelchair and give him the protection he needed. We refined and developed his ideas and turned them into reality. His custom leg guard means he can confidently enjoy fishing and nature photography with much less risk of hurting himself.